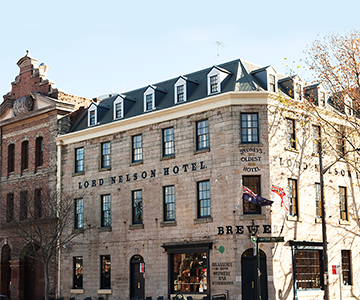 Sydney’s oldest continually licensed hotel, located in the historic Rocks precinct and home of Australia's oldest pub brewery. The Lord is recognised around the world for its award-winning beers, wine list, food and accommodation. 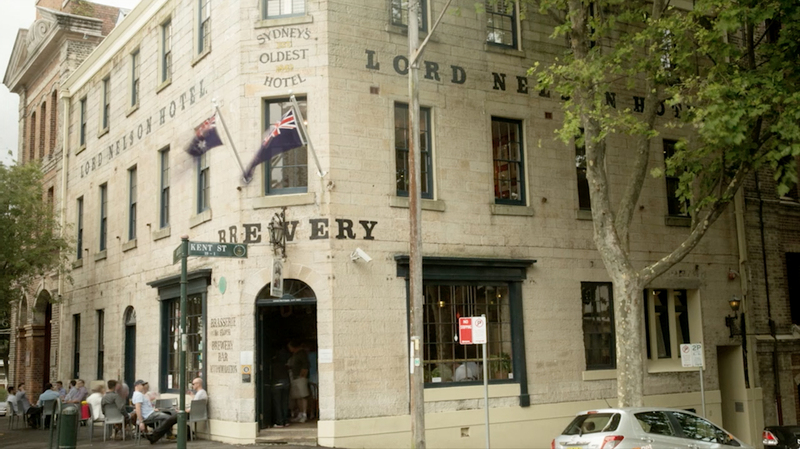 The Lord is Sydney’s oldest continually licensed hotel still trading within its original fabric. On 29th June 1831 a man named Richard Phillips obtained a liquor licence for the Shipwright Arms on the north-east corner of Kent and Argyle streets. The next year, because of the support of the seafarers and the workers on Observatory Hill, he changed the name to The Sailor's Return. In 1838 Phillips sold to a plasterer, William Wells, who lived on the... opposite corner in a two - storey colonial home he built in 1836 using sandstone blocks quarried from the area at the base of Observatory Hill. Wells continued to operate the pub opposite his home firstly as the Sailors Return, and in 1840 as the Quarryman's Arms. In 1841 he sold The Quarrymans Arms and on 1st May 1841 he obtained a liquor licence for his home, which he had been slowly converting to a Hotel since March 1840. He called the hotel The Lord Nelson. The Wells family operated the pub for the next 30 years and the property stayed in family ownership for a further 18. A photograph of the hotel taken in 1852, during the tenure of the Wells family, was used to complete a restoration of the building to its former grandeur in 1986. The Brewery was then added (including the addition of the word Brewery to the façade) and a significant upgrade to the Accommodation was undertaken in the 1990’s, giving us the pub as it is today.